Get a fantastic children’s toy work bench! With full kit of matching tools (see below for details). Includes working drill, spanner, screwdrivers and much more! Plus handy shelving and storage. Folds up into a carry case. 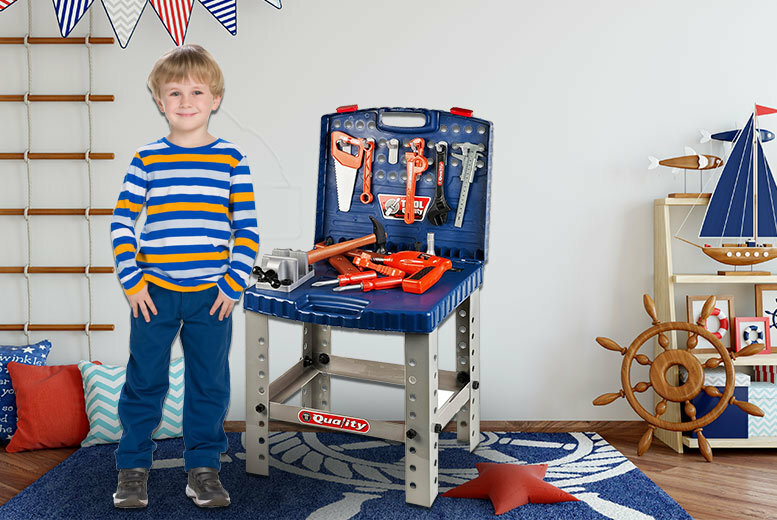 The perfect gift for a pint-sized mechanic!